Bristol offers offers indoor and outdoor entertainment for your entire family. A wide variety of outdoor activities are available, from riverside charm, waterfront parks, kayaking on the St Joseph River to the hiking trails. For a slower pace try the Elkhart Civic Theatre/Bristol Opera House, the Elkhart County Historical Museum, the Bristol Hills Storytelling Festival or Bonneville Heritage Day. 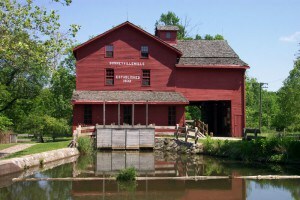 Don’t forget to buy fresh ground cornmeal from Bonneville Mill. Meet Percy the local ghost. The town of Bristol offers something for everyone! Elkhart is continuing its revitalization of the Downtown area and has already created a symphony of arts and cultural activities available at your fingertips. See a show at the magnificently restored Lerner Theatre, explore Downtown at the quarterly ArtWalks, enjoy Riverwalk Culture Trail walking tours, peruse the Midwest Museum of Art, stroll through Wellfield Botanic Gardens, or the National New York Central Railroad Museum — Elkhart offers many options for premium entertainment! Visit the restored historical mansion of Ruthmere, a 1910 House Museum, for a look at what live was like in historic Elkhart. 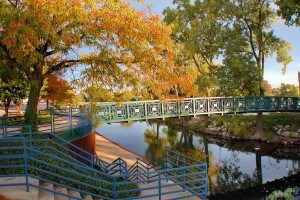 A wide array of delightful cultural and recreational activities are available throughout Elkhart. Attend our renowned annual Elkhart Jazz Festival, the Municipal Band Concerts at McNaughton Park, and hear the Elkhart County Symphony. And don’t forget to stop by the RV Hall of Fame to see how Elkhart became the RV capital of the world! 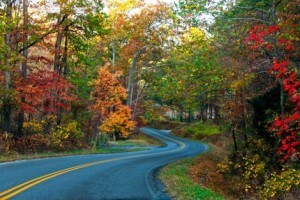 Goshen is our beautiful County Seat. The downtown area features a thriving cultural arts scene, and boasts interesting places to eat and shop, as well as monthly festivals such as First Fridays. Visit the Artisan Market, Goshen Brewing Company, Goshen Theater, or the Old Bag Factory for specialty shopping, and the downtown artisan’s shops. 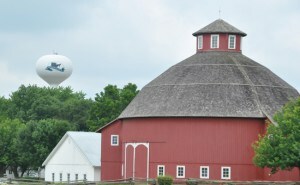 See the Northern Indiana Heritage Trail, or stop by Goshen College for music and entertaining events. And enjoy the beautiful architecture while you are there. Middlebury is known as being “Grown from Tradition” as the first settlers arrived in Middlebury in 1832. A strong Amish and Mennonite community still exists today — beautifully handmade goods and organic foods grown locally are premium offerings while shopping Middlebury. Be sure to include stops at the Village Inn Restaurant, Das Dutchman Essenhaus Restaurant and the Village Shops, and then attend the seasonal festivals such as Third Fridays and Cinnamon Stick Shopping. Watch the Lehman family make noodles, shop the Amish Way at Gohn Brothers Dry Goods Emporium, and appreciate the lovely traditions of the community. 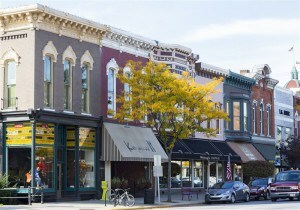 Nappanee deserves a quiet meander to best view their architecture, restored murals and many shops. 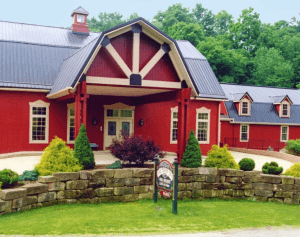 Visit the Amish Acres Wine Tasting Loft, Veni’s Sweet Shop, Weaver Furniture Barn, Amish Acres Restaurant Barn and the Round Barn Theatre, Quilt Shops, and the Dutch Village Market. 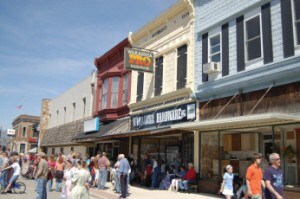 And even more shopping is offered by rural retailers. Over 3,500 old order Amish live in this area – just look for the beautiful, unornamented white farmhouses and gorgeous flower gardens. 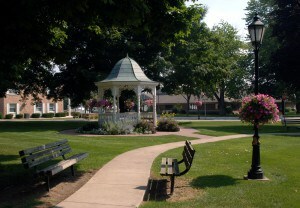 And don’t miss more of the Elkhart County Quilt Gardens along Heritage Trail! New Paris offers a cost of living at 12.20% lower than the national average according to Sperling’s Best Places to Live. Sperling’s also ranks New Paris as number 61 of America’s Best Cities for Crime, and number 91 as America’s Least Stressful Cities to Live. New Paris is a small community that can boast tree-lined streets, historic buildings, and lovely neighborhoods. On Fridays during the warmer months, New Paris offers “2nd Friday” events that range from Fishing Contests to a Garden Tractor Pull, as well as music, entertainment, children’s activities and “Games of Skill”. Don’t miss the action in this lovely place to live. Boasting a single stoplight, Wakarusa offers a wholesome environment of family-owned businesses and shops, an Antique Mall and Historical Museum as well as hardware, sweets at the local Dime Store and a spring Annual Maple Syrup Festival. Be sure not to miss the Memorial Butterfly Garden, June Bluegrass Festival or to enjoy a home cooked meal at one of several local restaurants.